Matt Pender Automation & Control Ltd. are a Carlow based company with years of experience specialising in industrial automation, controls, specialist maintenance, machine building, electrical engineering and environmental solutions. Over the years we have built up a wealth of experience across a broad range of industry sectors throughout the country. We strive to deliver excellence in our solutions and pride ourselves in working closely with our customer to achieve their goals. As well as having a range of products and solutions manufactured by ourselves, MPAC Ltd. Are delighted to represent some industry leading companies here in Ireland. 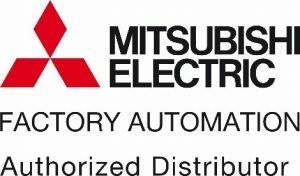 As an appointed Systems Integrator for Mitsubishi Electric, MPAC Ltd. Supply and integrate the complete range of factory automation (FA) products. We also resell the product range to other automation companies and end users alike. Having been trained on the product range we pride ourselves in being able to support the product range completely. As the sole appointed Systems Integrator and distributor for Smart Storm, MPAC Ltd. Supply and integrate the complete range of water quality monitoring and treatment systems manufactured by this industry leading company. We also service and maintain the complete product range. Built on its research and development capability Smart Storm has always been at the forefront of innovative products for the water and waste water industries and has won many prestigious UK and European awards for its developments in technology. The company is a IS0 9001:2008 company, Smart Storm is committed to excellence in product quality and performance and outstanding customer service and support. The company business is organised into 3 distinct segments which form a combined benefit to the customer. Instruments for monitoring and controlling liquids and solids in process and waste water industries. Waste water control systems including pH balancing, pumping stations and waste water screening. Industrial trade effluent treatment plants. Smart Storm service and calibrate all types of industrial effluent monitoring and treatment plants, whether a once off calibration is needed or an ongoing service contract, Smart Storm’s highly trained environmental engineers have the skills and experience to offer impeccable service.